An astrology reading is better than just reading your horoscope. Pluto and Saturn are turning Retrograde soon, Pluto on the 24th and Saturn on the 29th. All retrogrades offer a gift; we can move forward by accepting accountability for our choices. When we contemplate what the retrograde points to, it becomes easier to transform our thinking. Negative feelings fall away and have no hold over the future. Monday, April 22, the Sun conjunct Uranus in Taurus revolutionizes all that it touches. Associated with unexpected events, Uranus shakes up the status quo. Money and love get rocked around; some people will lose money while others experience sudden gains of fortune. Those who have given up on love may very well find the love of their lives where and when they least expect it! Wednesday, April 24th, Pluto in Capricorn begins its annual review. The yearly retrograde of Scorpio’s ruling planet provides an opportunity to dig deep and explore change. Pluto works quietly at the subconscious level, so subtly that you won’t notice until the transition is nearly complete. This slower, yet continually transformational phase allows us to discover our hidden resources. Pluto retrograde also reveals secret attractions. Passions stir under surprisingly ordinary circumstances. Restrictions seem to get in the way of progress when the Moon in Capricorn makes a hard square to Venus and Mercury in Aries. We feel (Moon) frustrated as Capricorn confines Venus and Mercury. Reconciling the Square requires balancing Aries yearnings with Capricorn practicality. Love is a work in progress; pushing to get hard can cause a delay. Mars in Gemini makes waves with confusing Neptune. Saturday, April 27 Mars makes a hard square to the imaginative ruler of Pisces. The potential for misunderstandings and injured egos is great. Try not to force your point of view; pushing too hard only creates chaos. Respond rather than react and try your best to relax, let go, and receive love! A lot is happening this week; Uranus conjunct the Taurus Sun, Pluto Retrograde and a testy Mars - Neptune Square. When sudden changes rock your world, talking with a trusted Advisor can help; Psychic Source is available when you need to talk! 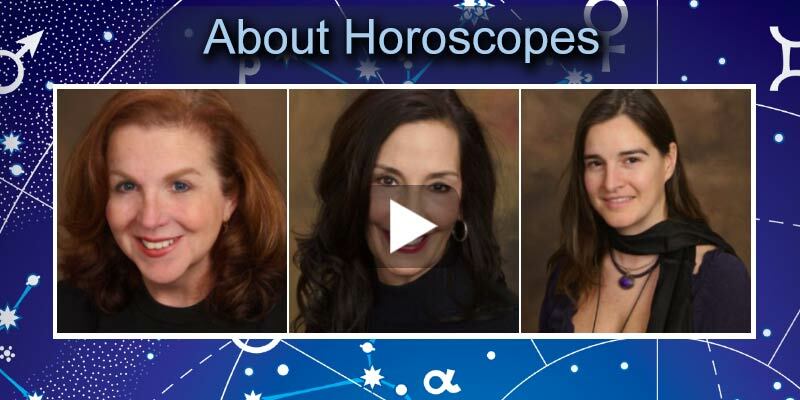 Some of the best psychic astrologers on Psychic Source discuss the role of horoscopes in a psychic readings.